We have just returned from a wonderful 10 day road trip to Southern Oregon and back home via Eastern California. Earlier this year we made this same trip north traveling along the California coastline. What contrast! Driving Highway 1 is all about the ocean, beaches, cool weather and finally up north, the giant redwoods. This time inland we experienced heat, dessert and mountains. 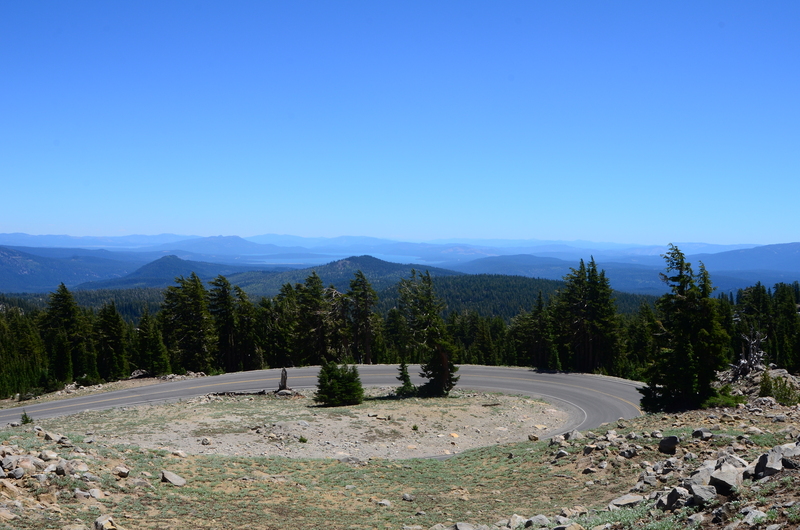 Having never been to Lassen Volcanic National Park, this seemed like the perfect time to correct that! Actually staying inside the park is my preference, but those accommodations book up well in advance. I had checked for openings before leaving home, and was not surprised to find everything full. We arrived in the park early in the day, entering the northwest entrance at Manzanita Lake. After pulling in to the Loomis Museum to get a map and suggestions for a moderate hike, watching a 20 minute introductory video, we set off to explore. But first a quick stop at the camp ground store to get water and snacks. While Tim got drinks, on a whim, I asked the cabin hostess if by chance they had any openings for that night. Much to my delight, YES, they did. I found out that they hold two units open for walk-ins! This was a great little tidbit to learn. If the reservations show full, get there early and ask if they have had any cancellations or any openings held for walk-in travelers. 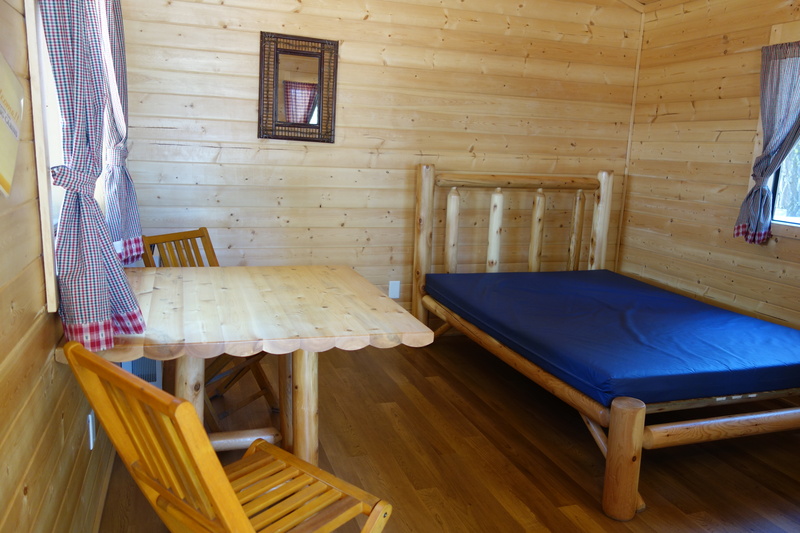 Well the tiny cabin was quite basic, and meant for someone who had all of their camping gear with them, which we did not. It consisted of a small table, two chairs, a bed frame and a plastic mattress. That was it – no pillows, blankets, sheets, towels or bathroom. I don’t think it qualified as glamping, but we were ready for adventure and jumped at the chance to stay inside the park. Lucky for us the store provided us with a battery-powered lantern and sold us two sleeping bags. We fashioned a couple of pillows by stuffing jackets inside of t-shirts and we were good to go. We were only steps away from the lake, a short walk to the bathrooms and shower, and the bear proof food locker was included at no charge. Now we were finally ready to explore the park. We decided to spend the rest of the day driving the main route through the park, stopping at each vista point and snapping some pictures along the way, as well as scoping out where the trailhead was for our hike the next morning. There were some breathtaking panoramic views, as the elevation climbed higher and higher. Other highlights included Emerald Lake and seeing the meadows coming to life with wildflowers. We also stopped briefly at the recent burn area, stark and sad in comparison. Most of the time while in the park we were without any internet access. Rather refreshing actually to be unplugged for the better part of two days. It is about an hour drive (30 winding miles) from one end of the park to the other if you don’t make any stops along the way. Of course that is laughable for me, because every couple of minutes I ask my very patient husband to please pull over so I can take another picture or twenty. By the time we reached the Kohm Yah-mah-nee Visitor Center located at the Southwest entrance we were ready for a late lunch at the visitor center. They have a small café, gift shop and more displays to look at. I purchased a hat for our walk the next morning. Since it was now getting late in the afternoon, we worked our way back north through the park, taking our time to breathe in the majesty of the setting. Arriving back at our cabin we enjoyed a leisurely stroll down to Manzanita Lake. Families were swimming, fishing, balancing on paddle boards, and skimming along in canoes. When the sun set, with no electricity, no internet, no camping stove, and no cards there was only one solution – off to bed early. Tomorrow we plan on taking the Bumpass Hell Hike! 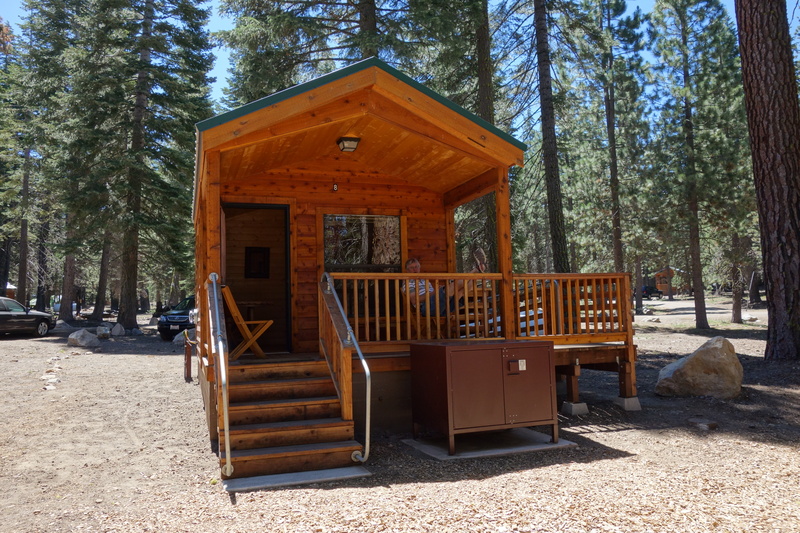 This entry was posted in California, National Parks, United States and tagged Cabin, California, Camping, Lassen, Lassen Volcanic National Park, National Park, Photography, Travel. Bookmark the permalink.